Article 370 of the Constitution of India is a temporary provision. It is imperative to keep the geopolitical context of those times while examining the impermanence of this provision. 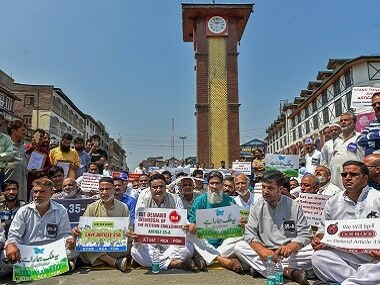 The Kashmir issue was sent to the United Nations, and the combined effect of several UNSC resolutions was, the fate of the state of Jammu and Kashmir was to be determined through a plebiscite. However, this was not so simplistic. The plebiscite was the second mention in the resolution, and the first one was the demilitarisation of the entire state, first by Pakistan (because it was the aggressor) and then by India, and then a UN-mandated plebiscite. 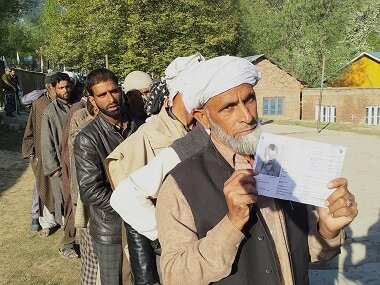 These were 'sequential' considerations, and without Pakistan demilitarising the entire state, including the present geographic region of Pakistan Occupied Kashmir (PoK) and Aksai Chin (the part of the state in China’s actual control), India was not obliged even to withdraw its troops, let alone conduct a plebiscite. Therefore, the demand for a plebiscite does not stand any legal ground whatsoever, under Indian Law as well as International Law. India, in good faith, and as a gesture of goodwill towards International Law, inserted Article 370 in India’s Constitution, in furtherance to its commitment at the United Nations that indeed if there is a plebiscite, India will abide by its verdict, irrespective of its outcome. In the ensuing seven decades, Pakistan failed to demilitarise the region and instead militarised it even more, which remains the first condition of the UNSC resolution to come into play. However, India still retains Article 370 in its Constitution, and this ‘goodwill’ remains the sole ground for defending the presence of such a provision in the Constitution. Mountbatten insisted in 1947 that Maharaja Hari Singh signs the Instrument of Accession (IoA) before the Indian Army can be sent in to fight the Pakistani marauders, who were pillaging through the Kashmir Valley. This insistence of Mountbatten is very important in the eyes of the law, solely because, the Indian Army could operate only on Indian territory and Kashmir would become an Indian territory only when the IoA was signed. Hence, it became an Indian territory from that moment onwards. Therefore, as soon as the IoA was signed, the state of Jammu and Kashmir became a part of the Union of India. The Union Government, thus became the sole sovereign in the region, not limited by any legal instrument whatsoever, because such is the nature of a sovereign. Moreover, the IoA was signed between the State of Jammu and Kashmir and the 'Dominion of India', both being non-sovereign entities and hence bound by an instrument like this. Technically, till the Constitution of India came into force, the British Parliament remained the sovereign over and above all such dominions, like that of India, Pakistan and the princely states like Jammu and Kashmir. Therefore, the promises in IoA, legally do no bind the Union of India, which is a sovereign entity, created by the Constitution of India, and much later in time. Therefore, the debate on the legality of Article 370 is more or less futile, because it stands absolutely no legal scrutiny and the provision merely stands as a manifestation of good faith of the Indian Union. It is in the nature of Rule of Law that everything cannot stand the test of time, and therefore rights and duties are bound by a ‘limitation', meaning that if they are not invoked within a period of time, they die their natural death. The seven decades that have lapsed are more than enough to make any temporary provision redundant. Since one knows that there cannot be any demilitarisation of the region by Pakistan and hence there cannot ever be a plebiscite, the presence of Article 370 makes no sense in the Constitution of India even today. The provision itself lays out a route for its removal. Clause (3) of the provision declares that only ‘subject to other provisions of Article 370’ itself, the President of India can delete the provision by a mere notification. Through a 'notification' means that Article 370 is so temporary that not even a legislative process of the Parliament is required to do it away. It can be done through an exercise of executive power. The contention is that for this to happen, the consent of the ‘Constituent Assembly’ of the state is required. 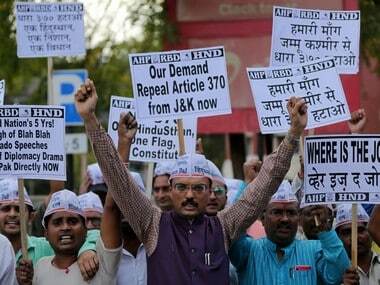 The advocates of Article 370 argue that since there is no Constituent Assembly, this provision has now become permanent. Though prima facie, this argument has some merit, however, nothing can be farther from the truth on two grounds. Firstly, any state Assembly or the Parliament has the constituent power and functions as a constituent Assembly when it amends any Constitution. 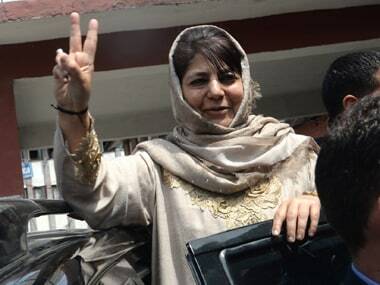 Therefore, if the Jammu and Kashmir Assembly recommends the removal of Article 370, it does function as a Constituent Assembly in the eyes of the law, because it adds an amendment to the Constitution. Secondly, because Clause (3) of the provision provides a way to remove Article 370, it does not mean there cannot be other means to remove it. Article 368 of the Constitution vests Constituent Power of Indian State into the Indian Parliament, which theoretically is unlimited, and such is the wording of the provision. Clause 1 of Article 368 opens up with the words — 'Notwithstanding anything in this Constitution....' This framing evidently means that this power is not limited by Article 370. Article 370, even though temporary, was enacted through a legal means — and the due process was followed — just because it was a part of the original draft of the Constitution as enacted by the Constituent Assembly. If there is an award for the most illegal provision in Indian Constitutional Law, it will be given to Article 35A. There is not a single argument, which can justify the legality of this provision and it is only a matter of a horrible surprise that this remains a provision recognised and enforced by Indian law. This provision is not even found in the main body of the Constitution of India. It is hidden in an Annexure. As has been explained above, an amendment to the Constitution requires an exercise of Constituent Power, which only flows through Article 368. However, the illegality of Article 35A is so absurd, that it was permanently added to the Constitution through an exercise of power under Article 370, which itself is a temporary provision, and through an executive action; which is the Presidential Order of 1954. All Presidential orders are products of executive exercise and do not involve the Parliament one bit. Not even a permanent law can be enacted in such a manner, let alone a constitutional provision. As far as Article 370 stands, if there is no political will to do away with it, it will remain a part of the Constitution and will remain recognisable in the eyes of the law, because it was appropriately enacted and remains sustainable that way. To do away with it or not, hence, remains a political choice and not a legal one. However, this also means that it does not have a permanent nature, as has been argued by some. Only the components of our Constitution which have been declared as part of the basic structure of the Constitution by the Supreme Court of India, are immune from the amending power of the Parliament. Article 370 has not been declared as such and hence if there is a political will to do away with it, there are no legal and constitutional impediments to it. Article 35A, however, is not sustainable in the eyes of the law, because the due process for its enactment has not been followed and it remains an illegal appendix to the Constitution.